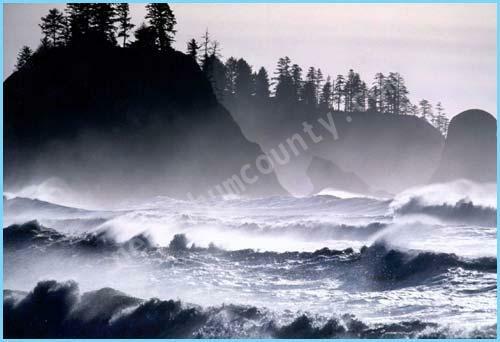 Energy Giant, PG&E, Pacific Gas and Electric wants to develop wave energy off the Mendocino and Humboldt County coast lines and tidal energy off the San Francisco coast. But, environmentalists and fishermen are concerned about the renewable energy's potential impacts on marine life and the North Coasts fishing economy. The North Coast Fishermans Association held a public meeting with PG&E, Pacific Gas and Electric to present its plans for wave energy off the Mendocino coast. Business Manager for Renewable Energy at PG&E gave a presentation on the utiltyâ€™s proposal to develop wave energy off Fort Braggâ€™s coast. Currently there are 23 filings for wave energy permits up and down the west coast, from San Francisco to the Canadian border. PG&E has applied for two, one off the Mendocino coast and one off the Humboldt Coast. Mathur said the North coast is ideal because of the wave activity.